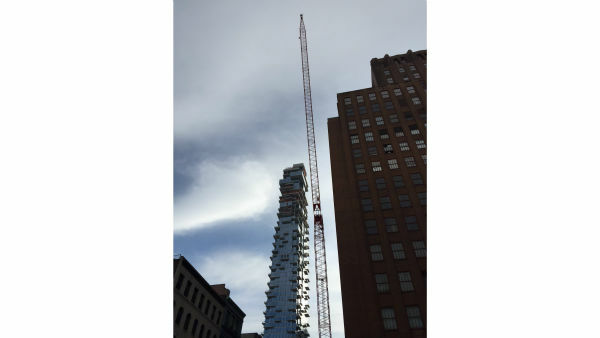 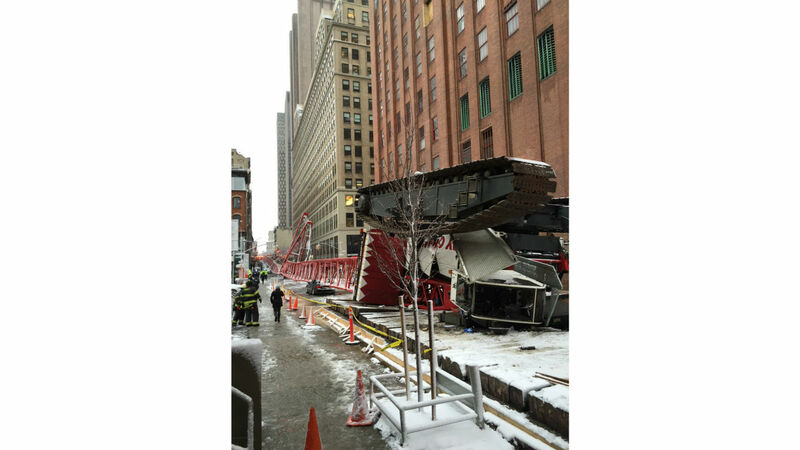 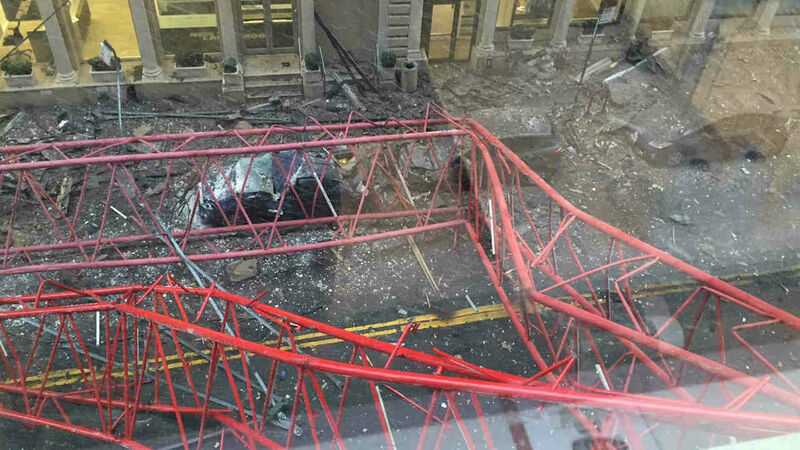 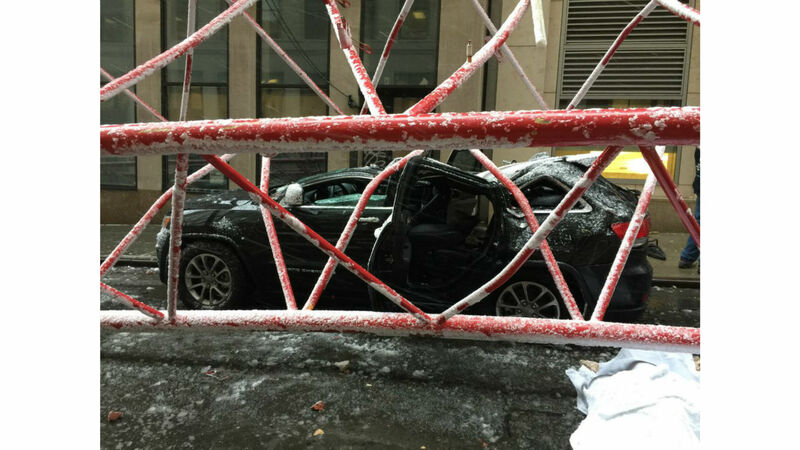 One person died and two others were seriously injured when a crane collapsed in Lower Manhattan, smashing the roofs of parked cars as it crashed onto the street, authorities said. 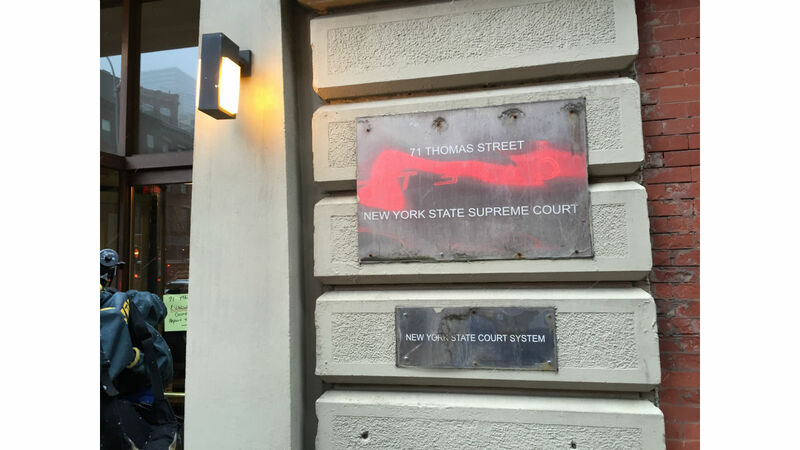 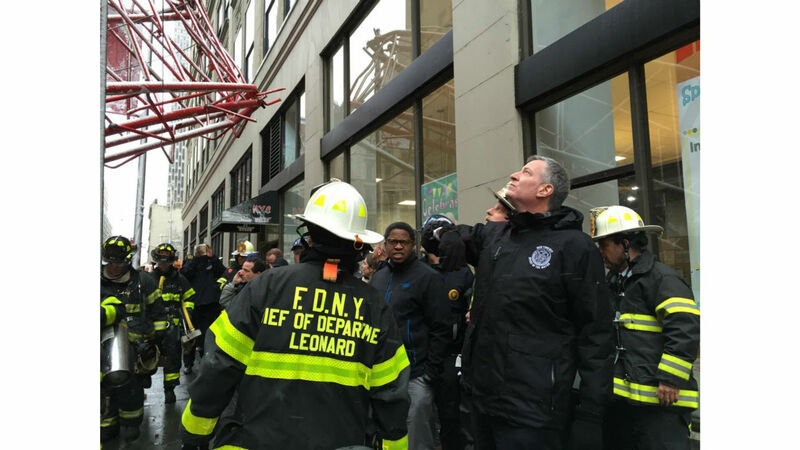 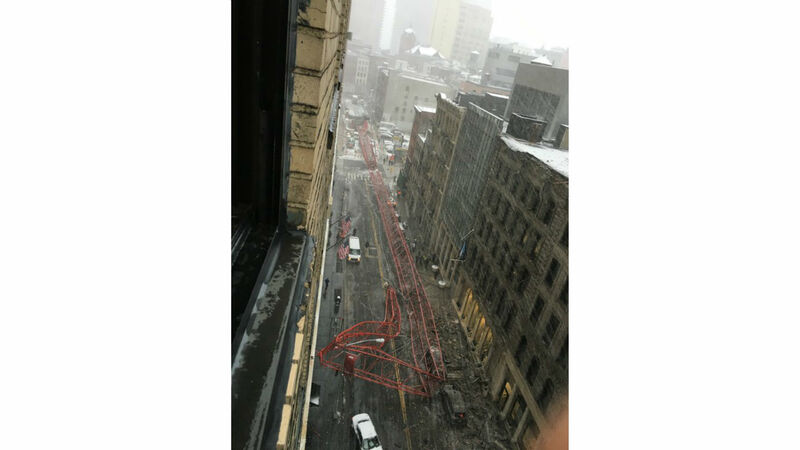 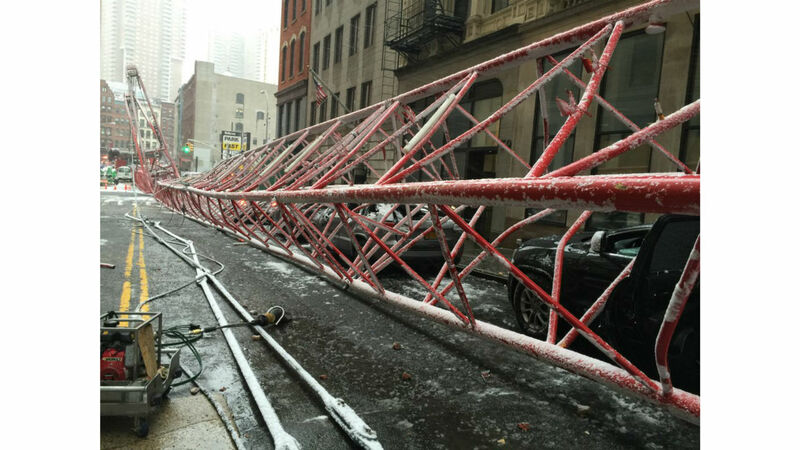 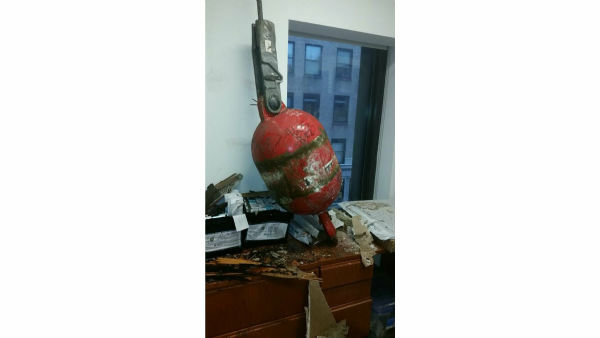 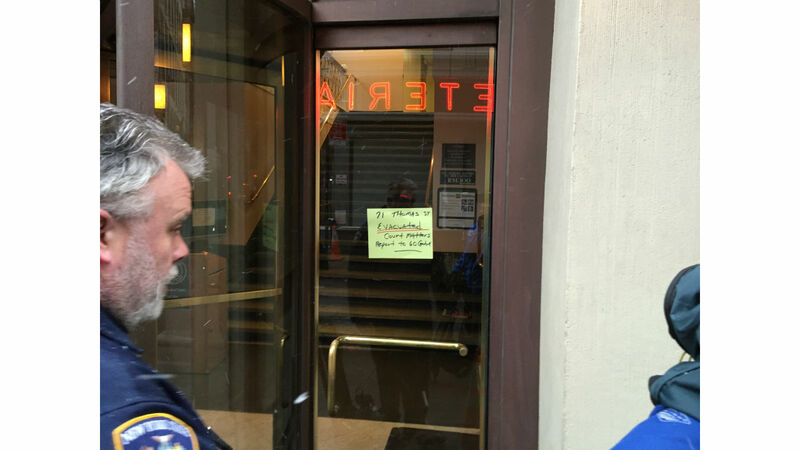 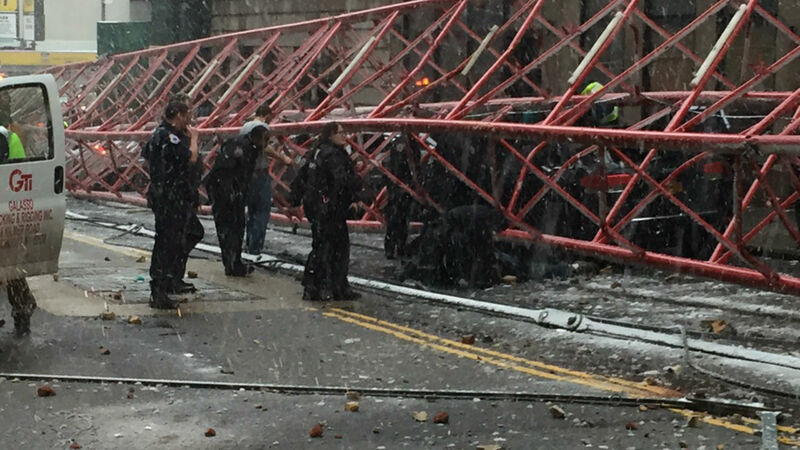 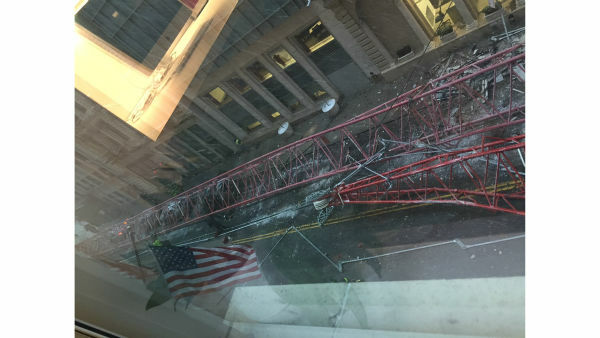 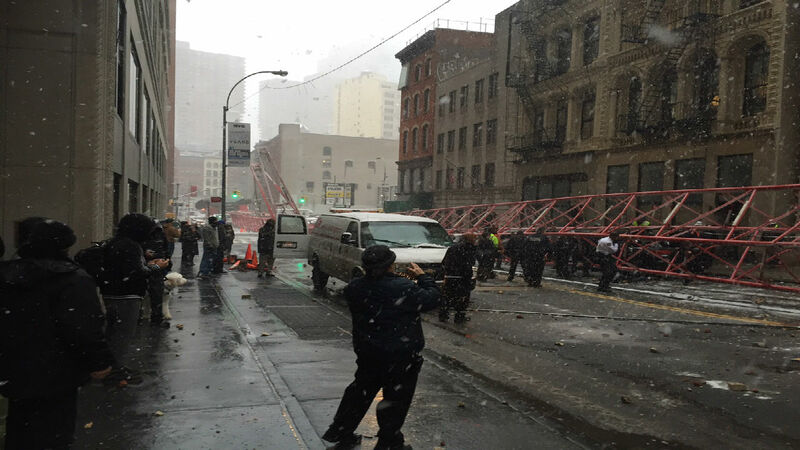 The collapsed red metal lattice landed across an intersection and stretched much of a block after the accident, which occurred around 8:25 a.m. in the Tribeca neighborhood, about 10 blocks north of the World Trade Center. 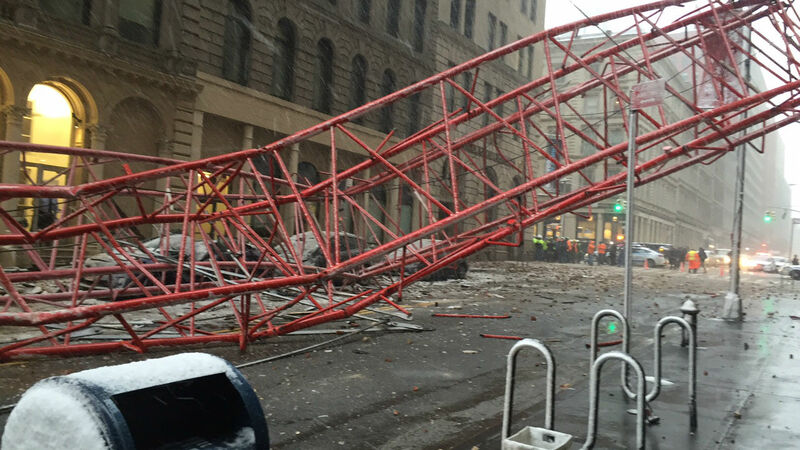 There was damage on the roof of a nearby building and debris littered the street.